The renown Pastor Tunde Bakare, the General Overseer of Latter Rain Assembly Lagos has said that President Muhammadu Buhari confided in him he wanted a running mate who could manage the affairs of the country very well should in case he dies. He said that was the actual reason why Buhari chose him as a running mate in 2011. Bakare, the General Overseer of the Latter Rain Assembly, also revealed that Buhari rejected former Finance Minister, Ngozi Okonjo-Iweala as a running mate. The cleric made the revelation while speaking to members of his church in Lagos in January 2017. 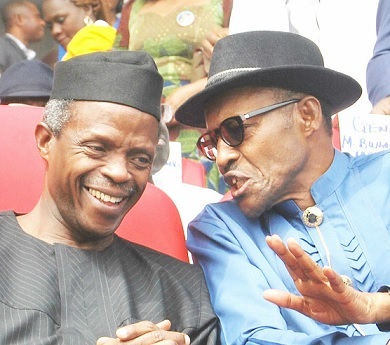 “After I was called and I went to Abuja, and I sat with Mr President or General Buhari then, I said why me? ‘I’m not a politician’, ‘I do not belong to any political party’, ‘I am not carrying card of any party, why me’?’” Bakare said in an audio recording obtained by The Cable. “He gave me all the reasons, they are written in the book; Strategic Intervention in Governance. He gave three reasons, but the one that made everyone around me that day to doff their hats was when he said: I am not as young as you think, and even Yar’Adua that is younger is dead. “In case I die, I know you can hold the nation together. That was when Jim (he didn’t give his surname) removed his cap and said egbon, you must agree,” he added. Bakare and Buhari contested on the platform of the Congress for Progressives Change (CPC) but lost to the Peoples Democratic Party (PDP). Buhari, who is now 74-years-old, eventually won the presidential election in 2015 along with running mate, Yemi Osinbajo. Osinbajo is 59 years old and is currently acting as president while Buhari attends to health issues in the United Kingdom. Buhari’s health has been a cause of concern since January when he left the country for a 10-day medical vacation. Tensions were further heightened by the president’s decision to extend his medical vacation indefinitely. The suddenness of the president’s trip and his refusal to speak to Nigerians has sparked fears and rumours that he might be in worse condition than the government is claiming. Osinbajo, on Monday, February 6, however assured Nigerians that there’s no cause for alarm over the president’s health. Buhari’s spokesman, Femi Adesina also said that the president might return to the country sooner than expected. Adesina however confessed that he doesn’t speak to the president daily, but rather speaks to the people around him. TheCable - Rotimi Amaechi, minister of transportation and former governor of Rivers state, says governors demanded the sharing of money from the Excess Crude Account (ECA) under the last federal government because it was not properly managed. Ngozi Okonjo-Iweala, former minister of finance and coordinating minister of the economy, has consistently maintained that governors lacked the political will to save during the tenure of Goodluck Jonathan, former president. 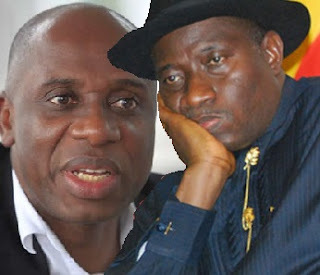 But speaking on One on One, an interview programme on NTA, on Wednesday, Amaechi said Okonjo-Iweala was only “partially correct”. “I heard Mrs Okonjo-Iweala say that in the past administration, governors were unwilling to save; she is 30 percent correct and 70 percent incorrect,” he said. “In 2009, we had an economic crisis so President Yar’adua put $1billion in the economy so no one felt the crisis. I can’t remember what was left in that account, the excess crude account. “During Goodluck Jonathan, every month when the governors went for the economic council meeting, the amount in the account kept dropping. If we asked about what happened to the money, the response we got was that the president approved for it to be spent. “So we said can we please share this money because the rate at which it was going, the president would have continually approved $1billion to spend and we won’t know what we are spending for and they won’t give us an account. “So we told the vice president and the minister for finance that there was a need for us to share part of this money and we began to agitate. They now agreed to share part of the money and they did. In the first six months of Goodluck Jonathan, oil subsidy increased. Governors started complaining and then we had a meeting in the office of the president’s wife. The former member of the Rivers state house of assembly said he agreed to serve as a minister because he believes in the administration’s capacity to serve.